Six Tunisians have been accused of kidnapping a Belgian woman in Italy and subjecting her to sexual slavery. Italian police are now investigating the claims; the six suspects have been arrested and charged with kidnapping, sexual abuse, and aiding and abetting prostitution. The woman, who has since given birth, is still being treated for post-traumatic stress. Amanda Lind is a licensed psychologist and has studied herbal alternative medicine, acupuncture and Chinese medicine. She told Swedish website Yippie Härnösand that she is interested in roleplay and cartoons and that she looks at life in a “spiritual way”. They say politics is downstream of culture. Maybe the point of a government having a Culture Minister is to turn the stream into a circular moat in which the stagnant water turns ever more rank with moonbattery. 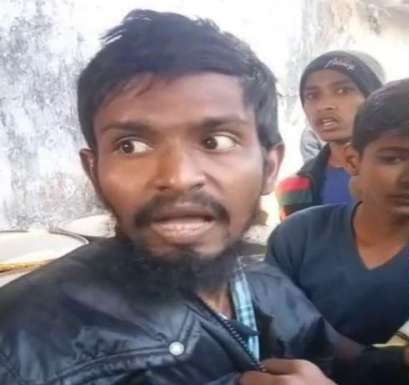 He is “mentally unstable,” we are told, but The History of Jihad shows from Islamic sources that Islamic jihadis have behaved this way in India for centuries. Numerous temples were destroyed, and Islamic rulers liked to break the Hindu statues into pieces and place the pieces at the entrance to mosques, so that the Muslims would trample them when going in and out.